This is a prequel to the Liz Bean Mystery Series and tells the story of how Liz first met Sam Nolan. It’s Thanksgiving Week at the Bean Family Bed and Breakfast. Liz Bean is looking forward to helping her family prepare a Thanksgiving dinner and celebration for the B&B guests. Then everything falls apart. A B&B guest reports that a piece of her jewelry has gone missing and she thinks another guest might have stolen it. She gives them four days to find her jewelry or she’ll call the police. Grandma Addie Bean shivers at the thought of the negative online reviews the guest might leave if they don’t find her jewelry. Grandma Addie pairs Liz with Sam Nolan, a quirky private investigator who’s a frequent diner at the B&B. They mesh like oil and water, but Liz knows they have to combine their talents to help the B&B. When their prime suspect disappears, the situation goes from bad to worse. 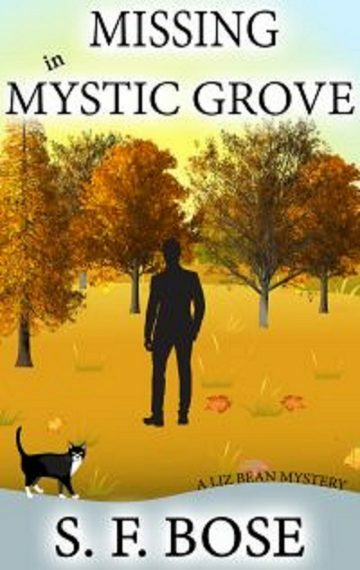 As they investigate each lead, Liz realizes that she’s not the only one in Mystic Grove who’s keeping secrets. When the truth about the missing guest and missing jewelry is revealed, it takes everyone by surprise.